Moira chooses to be a positive influence to others and not let haters affect her. 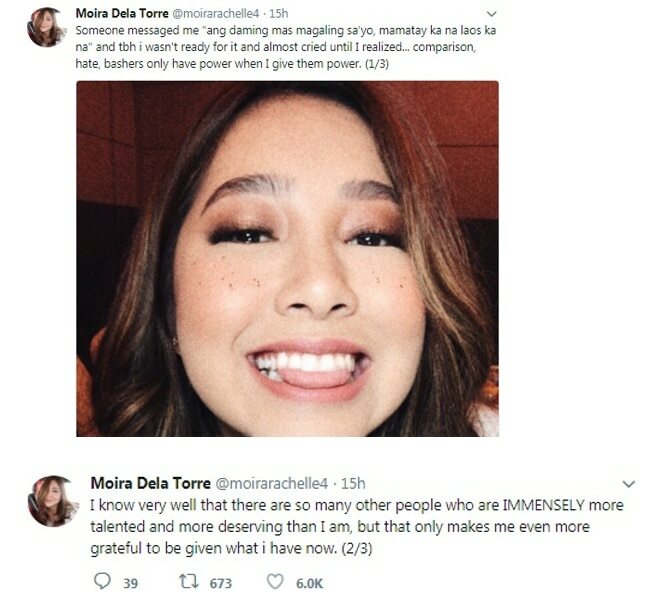 Although she is basking in the limelight, with her songs dominating the hit charts recently, singer Moira revealed on Twitter that she has her own share of haters. 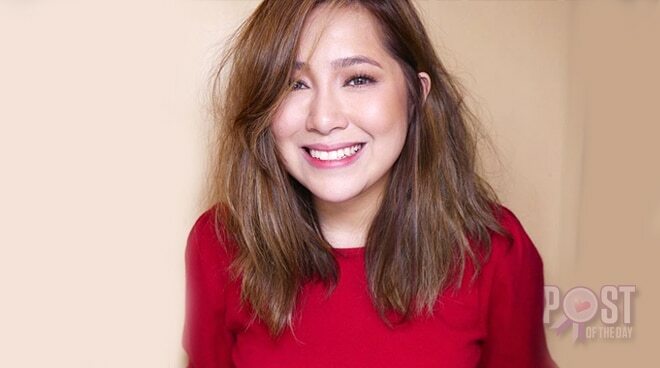 The “Titibo-tibo” singer shared she felt bad after reading the message from a basher, but eventually realized she refuses to be put down by the online bully. “Someone messaged me ‘ang daming mas magaling sa'yo, mamatay ka na laos ka na’ and tbh i wasn't ready for it and almost cried until I realized... comparison, hate, bashers only have power when I give them power,” she said in the first part of her post. Moira further remarked that she would rather remain positive and lift other people’s spirits. Netizens commended the singer and told her to continue sharing her talent to others. Moira’s post already has 30,000 likes as of this writing.